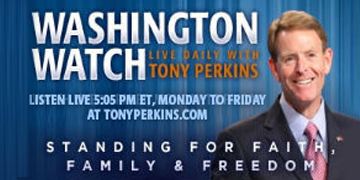 On Monday's edition of "Washington Watch with Tony Perkins" Russ Jones, guest hosts for Tony. CNS News Editor-in-Chief Terry Jeffrey joins our guest host to discuss his latest column, "Unemployment Rate at Record Low in 10 States: California, New York, Texas, Missouri, Iowa…" Sophia Witt, Director of Israel Outreach for Turning Point USA, is here to weigh in on the controversy over the pro-Palestinian conference held at UCLA in Los Angeles, California this past weekend. Also, Colleen Marquez joins the program for National Adoption Month to share her experience as an adoptive parent and to share about her book, "A Gift for Little Tree." Read Terry’s column, "Unemployment Rate at Record Low in 10 States: California, New York, Texas, Missouri, Iowa…"
Order your copy of Colleen's book, "A Gift for Little Tree"